Quick and easy to prepare... can be used as an antipasto (before dinner) or as a vegetarian side dish to the main course. First the tapenade: Finely chop the red onion, cut the black olives in halves, and chop ¾ of the basil. 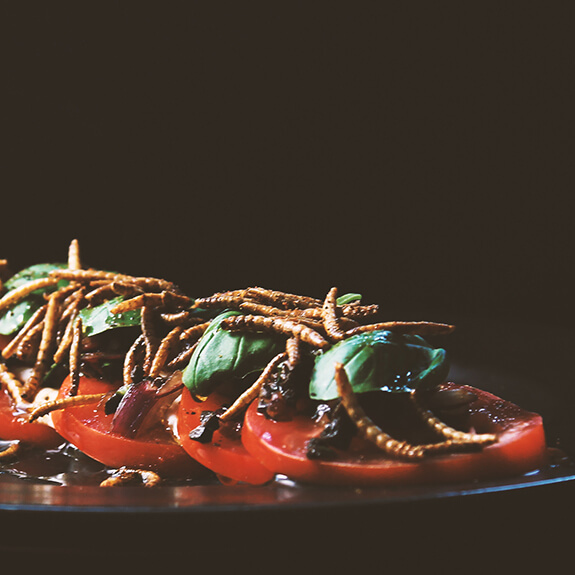 Mix the ingredients with the balsamic vinegar and olive oil in a small bowl. Then the salad: Wash the tomatoes, cut off the stem, and slice each tomato. Drain the mozzarella and slice it. Layer alternating slices of tomatoes and mozzarella on a nice dish or plate and gently dazzle your homemade tapenade evenly. 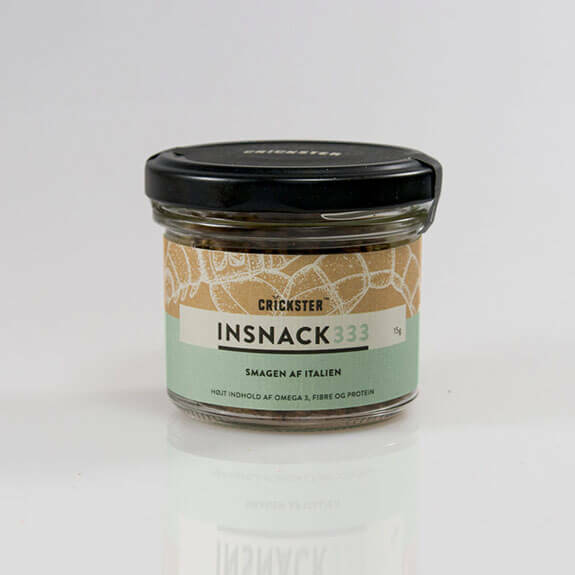 Top the salad with Crickster’s Smagen af Italien (The Taste of Italy). Voilà! Surprise your better half or your friends and family and start a heck of a conversation. This Italian tomato salad, or ‘caprese’, is a modified classic from the kitchen of Naples. 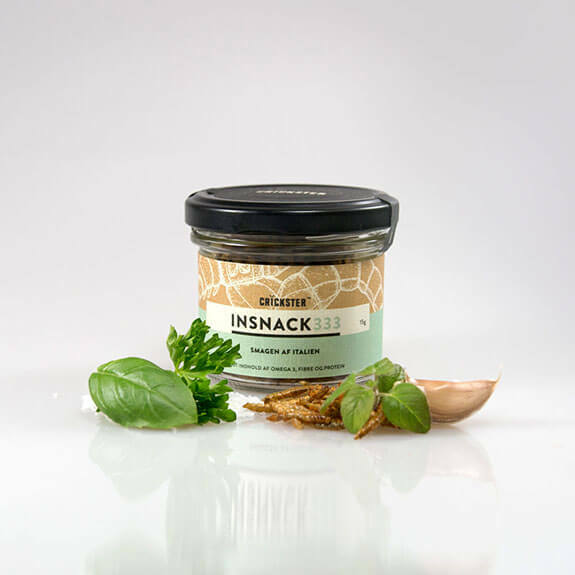 On top of this delighting salad, you will find Crickster’s Insnack333 – taste of Italy, which adds a delicate crunch and a savoury taste to complement this Italian timeless classic – bon appetit!